India is great. There is no doubt about it. Ours is a country where even a terrorist who plays a role in attacking Parliament gets glorified as a martyr. Since the anti-national event held on 9th of February, 2016, I was wondering whether political parties showing solidarity with students of JNU have any morality left. Questions have been raised about videos being doctored. However, why is not anyone questioning the students behind organizing an event to glorify a terrorist who played a role in attacking the Indian Parliament? Was Afzal Guru a martyr? If yes, were the fellow Indians who died protecting the Parliament, terrorists? Just imagine a situation wherein the terrorists would have succeeded in entering the parliament and ended up killing some MPs of the Left parties. Would the organizers have put up Afzal Guru and those MPs photos at JNU and all would have been simultaneously hailed as martyrs? Or possibly they would have said Lal Salaam before the terrorists shot them so that they would not get killed. The so called martyr received a fair trial. Afzal Guru in an interview admitted to have played a role in the Parliament attack. He even mentioned that the plan was to get as many MPs killed as possible. Still he gets glorified as martyr and the government that takes action is shown as intolerant. I have my roots in Kannur district of Kerala. The communists are known to kill their political opponents brutally there. These are the same communists who are now talking about freedom of speech. What about freedom to live? Does the communist party guarantee freedom to live to their political opponents in Kerala? If not, then what moral authority do they have to cry for freedom of speech for students glorifying terrorists? Kanhaiya Kumar is out of jail on bail. He is now being glorified and has given a wonderful speech hailed by many as a great one. The people glorifying his speech fail to realize that he could do that because there is freedom of expression. He was not gagged. I do condemn the attack on him in court premises. However, I also condemn his role in organizing and supporting an event to glorify a terrorist as martyr. He may be a great orator and coming from poor background. Yet I think he should choose his heroes and role models right. I know there are political parties queuing up to support him now. However, they will soon realize that people of the country very well understand what the intentions of these political outfits are and they will get a befitting reply in the elections. It is not people like Kanhaiya Kumar that need solidarity and support. 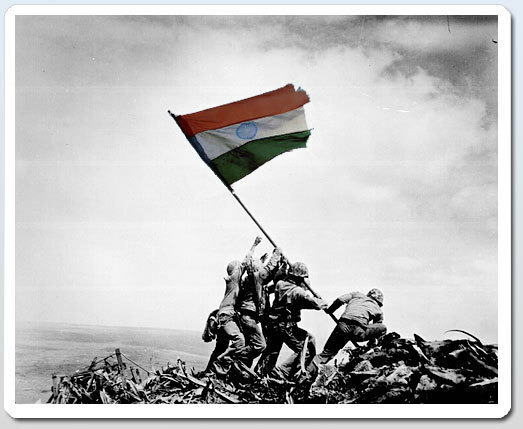 It is our soldiers and their families who sacrifice so much to ensure that our Indian flag keeps flying high. In fact, a nobody like Kanhaiya Kumar got the opportunity to be somebody because our soldiers have ensured that our country is secure.